﻿ Cleveland Museum of Art - Ohio. Find It Here. 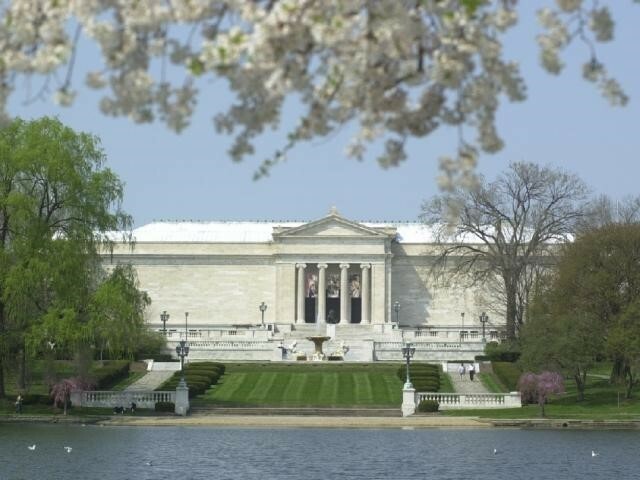 The Cleveland Museum of Art is renowned for the quality and breadth of its collection, which includes almost 45,000 objects and spans 6,000 years of achievement in the arts. The museum is a significant international forum for exhibitions, scholarship, performing arts and art education and recently completed an ambitious, multi-phase renovation and expansion project across its campus. One of the top comprehensive art museums in the nation and free of charge to all, the Cleveland Museum of Art is located in the dynamic University Circle neighborhood.The Cleveland Museum of Art is supported by a broad range of individuals, foundations and businesses in Cleveland and Northeast Ohio. The museum is generously funded by Cuyahoga County residents through Cuyahoga Arts and Culture. Additional support comes from the Ohio Arts Council, which helps fund the museum with state tax dollars to encourage economic growth, educational excellence and cultural enrichment for all Ohioans. For two consecutive years, the museum has been awarded a top four-star rating by Charity Navigator, the nation's most-utilized independent evaluator of charities and nonprofits. For more information about the museum, its holdings, programs and events, call 888-CMA-0033 or visit www.ClevelandArt.org.